Here’s her story, published today in The Wall Street Journal Online. American Bicycling Education Association and its CyclingSavvy program were both mentioned. 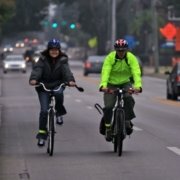 While the article primarily explored research into a number of clothing and lighting options, the reporter also mentioned the concept of lane positioning, which we teach in CyclingSavvy. I explained to her that being relevant is often as important as being conspicuous. (Stay tuned! This is the topic for my next blog post, which will run July 12.) 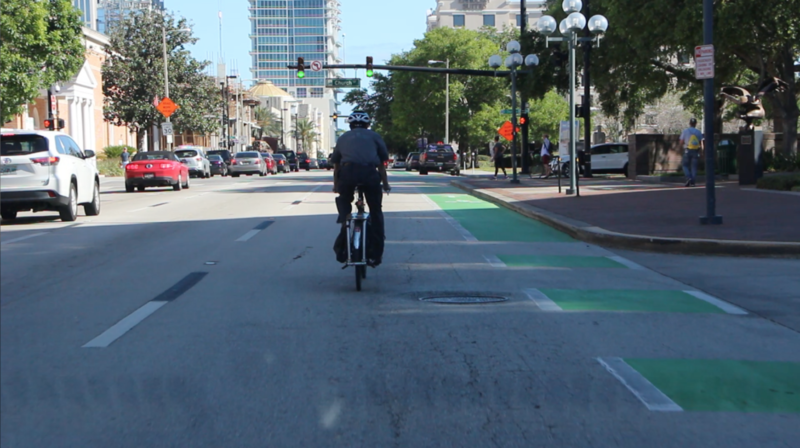 CyclingSavvy Instructor John Allen was also interviewed for the article. I suppose it’s all well and good if some people want to wear neon clothing and use some of the gadgets the story covered — and in some circumstances some of them certainly will help. But do we really have to dress like a science project every time we ride our bikes? 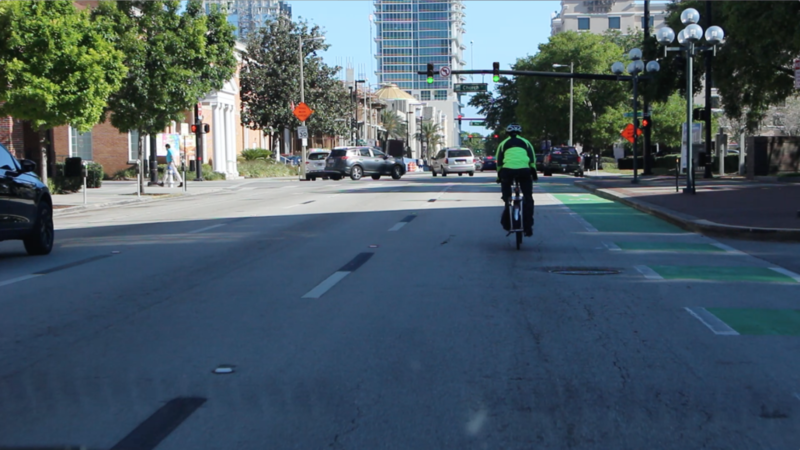 With CyclingSavvy strategies you’ll find that you can usually just ride in normal clothing in the daytime, and use regular headlights and taillights at night. 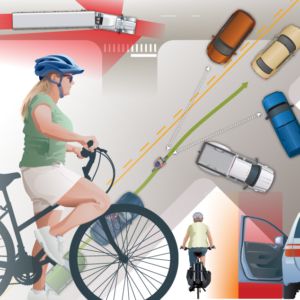 Congratulations to CyclingSavvy Instructor Bill DeSantis (Professional Engineer for VHB, based in Providence, RI) for being named new chairman for the Bicycle Technical Committee (BTC) of the National Committee on Uniform Traffic Control Devices (NCUTCD). This committee explores, reviews and recommends new or modified traffic signs, pavement markings and traffic signals relevant to cycling on our public roads and paths. Approved devices are included in the Manual on Uniform Traffic Control Devices (MUTCD), which is what the federal government and most states adopt as the official standards for traffic controls. 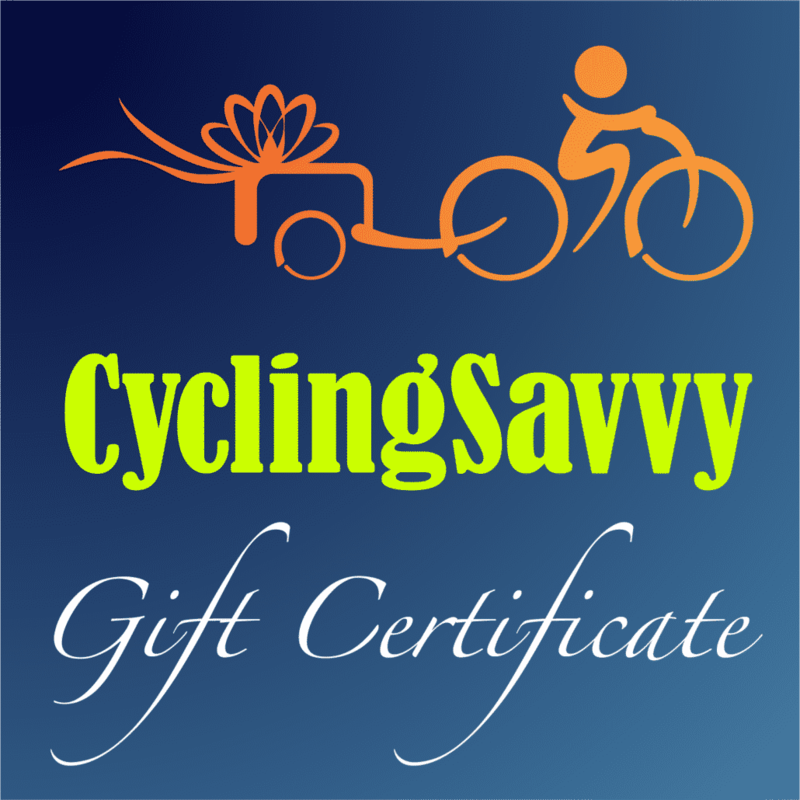 Five CyclingSavvy Instructors now serve on the BTC: Bill DeSantis, DeWayne Carver, John Allen, John Schubert and myself. 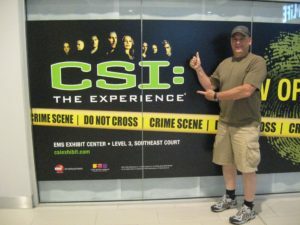 Bill DeSantis discovers another CSI program that doesn’t involve bicycling. By now you may be getting the idea that the CSIs who represent ABEA know a thing or two about bicycling. They are recognized as authorities on bicycling safety and education. As a result, they are leading the conversations on bicycling safety and transportation design at a national level. Research into fluorescent leggings and ankle lights found both are better recognized as being associated with cyclists than fluorescent shirts or jackets or regular headlights. (But I think a motorist approaching from behind is going to see the large area of your torso from a greater distance, assuming a similar color. Depending on which direction you need to be seen from, it may be more important to be seen from a greater distance, or recognized from a shorter distance.) Ankle lights truly do sound like a good addition to your regular tail-light and headlight set-up. 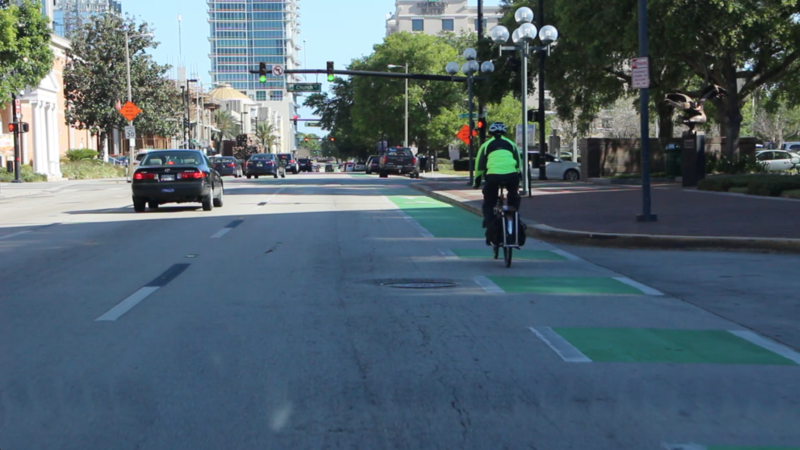 “Mighk Wilson, executive director of the Orlando, Fla.-based nonprofit American Bicycling Education Association, says certain strategies can make a rider more visible. 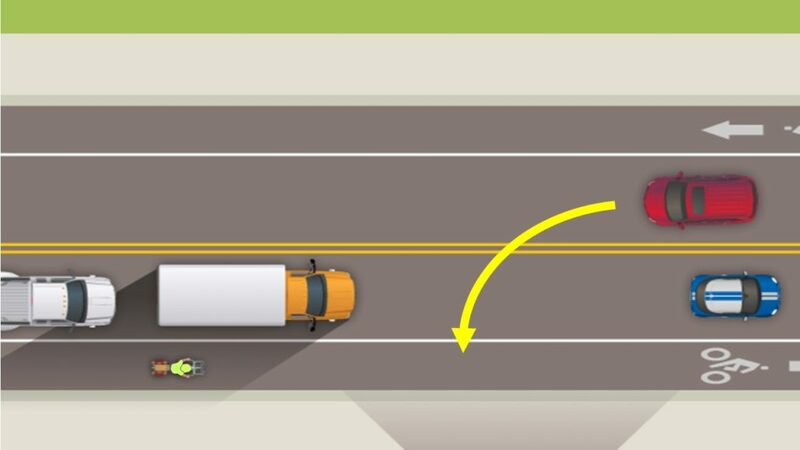 One tip in the association’s classes on cycling skills is riding in the center of a lane rather than on the edge, so drivers don’t try to squeeze past or turn in front of you.